I get a lot of requests for more videos, in specifically lifestyle videos so here it is, my very first Vlog! I hope you guys enjoyed the video! 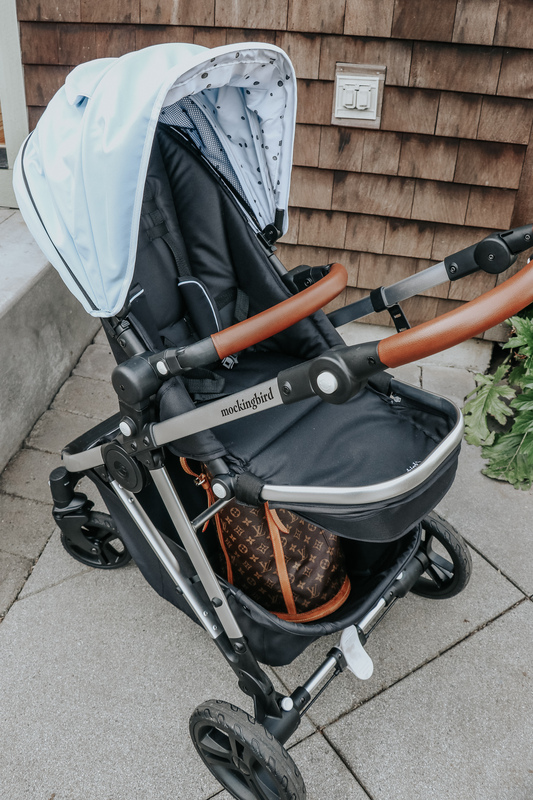 I want to share some more details about the Mockingbird Stroller on here as well because a large percent of you are moms (or soon-to-be moms) and I think this will be helpful in helping you make a decision! 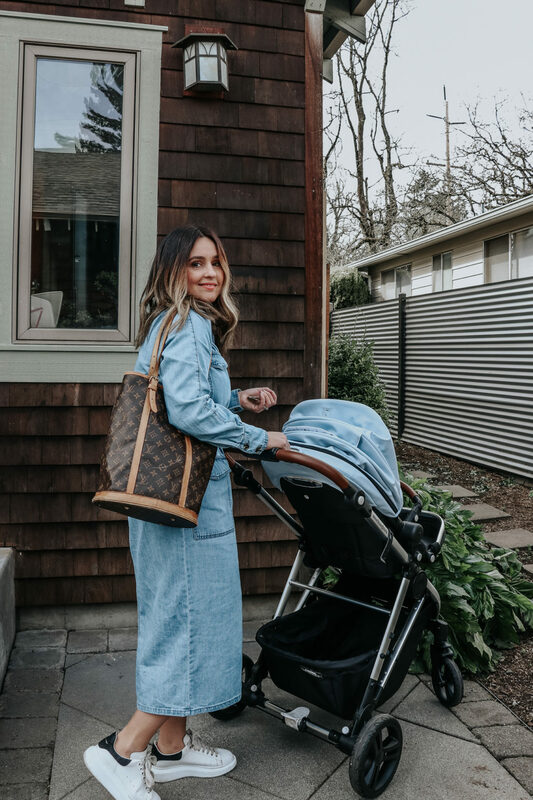 You can get the Mockingbird Car Seat Adapter for those of you that like to keep your little one in the car seat if they fall asleep, etc. AND the car seat adapter is compatible with most commonly used models – Graco, Evenflo, Chicco, Britax, Nuna, MaxiCosi, Cybex! So if you already have a car seat, no need to purchase a new one. You can change out the seat to either use the regular seat or the Mockingbird Carriage. 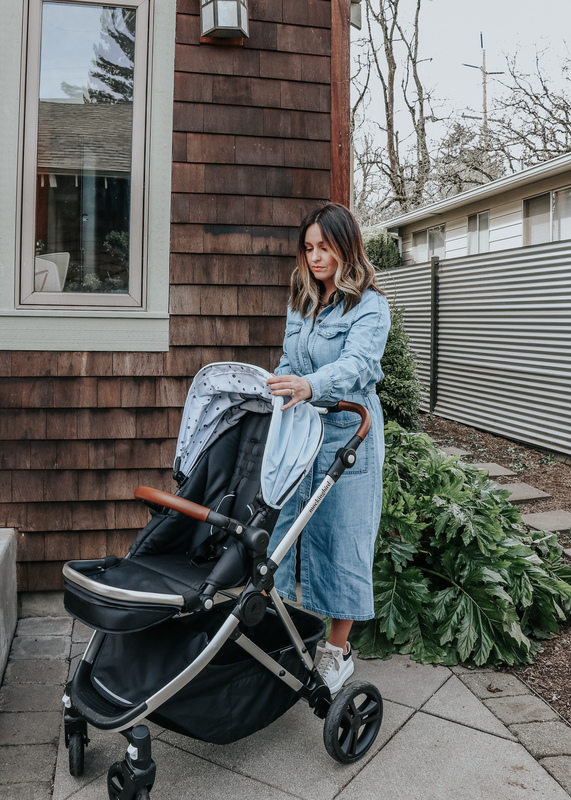 Water-resistant canopy also comes with a cover to completely protect your little passenger from the elements. One-hand fold, as seen in my video! YES to this feature because I usually have my other hand full! Customize your ride! 3 Canopy colors (Sea, Sky, and Black) with 2 Interior patterns (Water Drops and Windowpane). You can even choose the leather colors: Black or Penny. 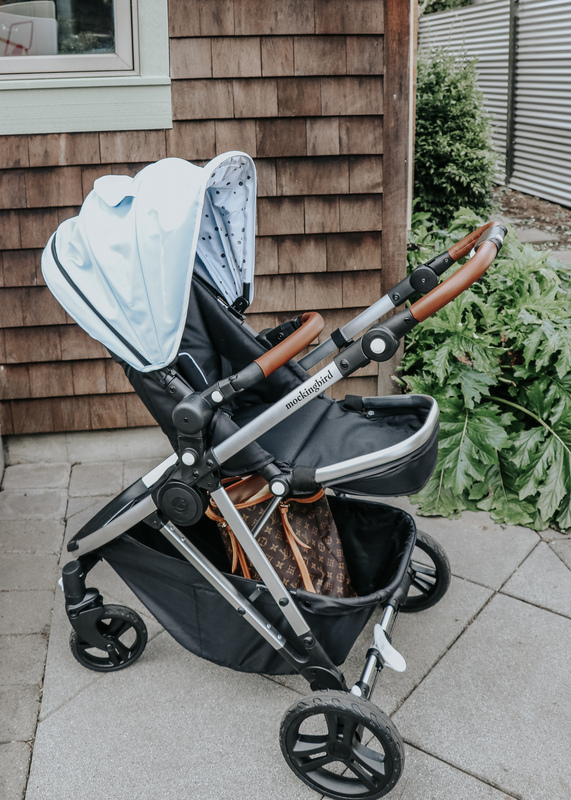 The stroller I chose has a Sky Canopy and Water Drops with the Penny leather. 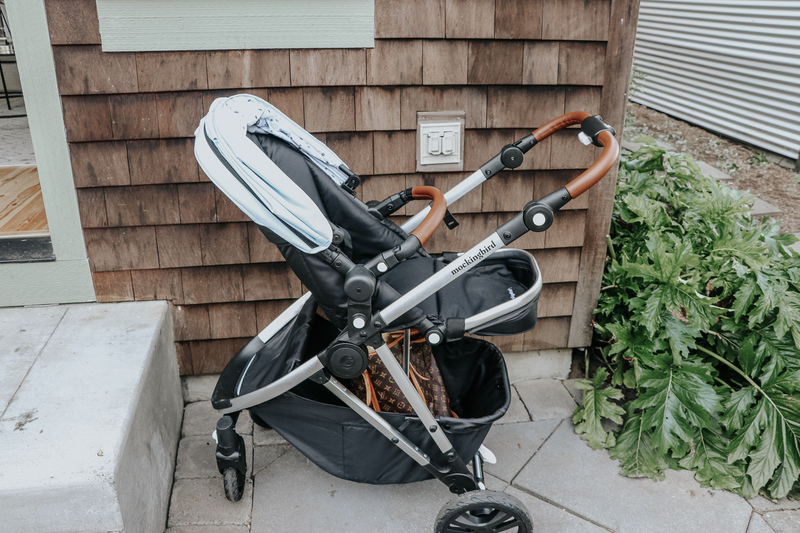 Affordable luxury – this stroller was so well thought out and the price is unbeatable. 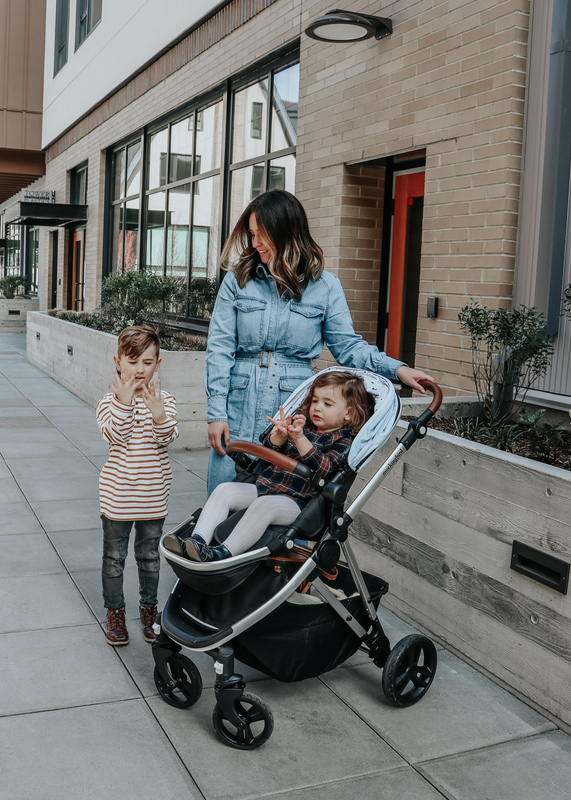 I’m all about “luxury for less” and this stroller has everything a luxury stroller has at an unbeatable price. Still not convinced? 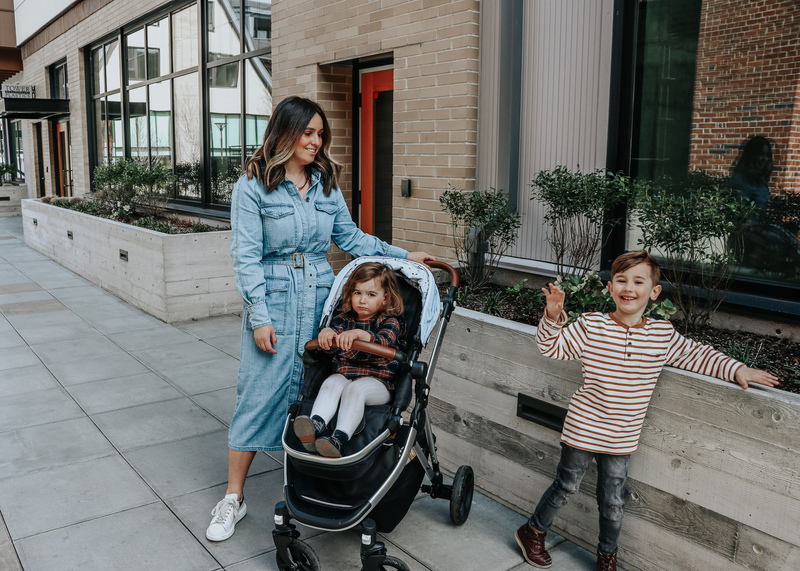 You can test the stroller for 30 days (in your home / on your street / at your park / in your car). If you aren’t happy (which you totally will be in love! 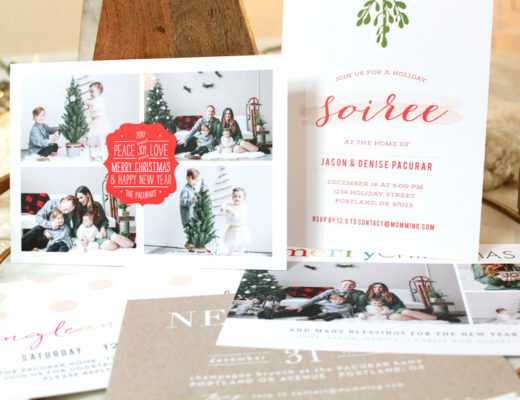 ), then you can send it back with free shipping both ways. Lots of accessories and add ons here. Jason asked them how many ice cream cones they want and they were counting them on their fingers. I can’t get over Claire’s cute pouty face in this photo! She reaaallyy wanted ice cream and was not up for taking any photos until she got it. Isn’t it so cute?! I love how customizable it is and again, that large storage basket is everything! 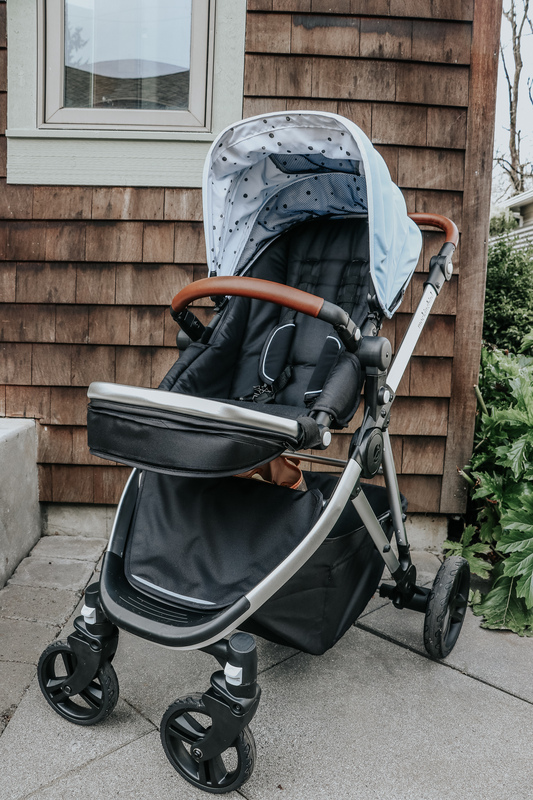 By the way, I unboxed and put this stroller together by myself and it took me less than ten minutes to get it out of the box and ready to roll! 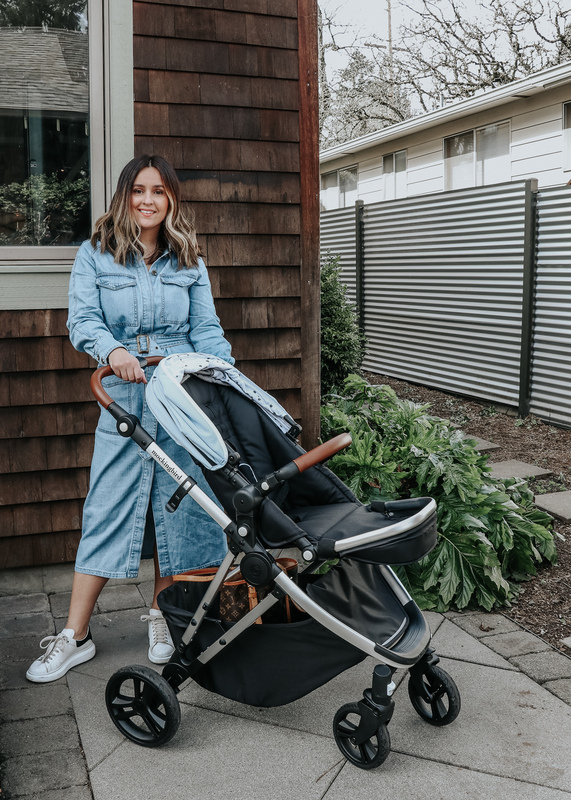 So what do you guys think about this stroller?! 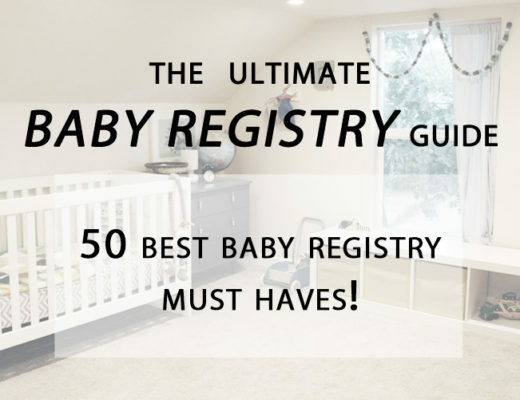 For $350, there just isn’t a better option out there! Why spend $1,000 when you can have the same thing for less (save the other $750 and spoil yourself mama, you deserve it). Stay tuned for more Vlogs! I am going to do a day in the life Vlog and weekly Vlogs about mom life. I also want to share some thrift hauls with you guys and whatever else you want to see, leave it in the comments below! Make sure you Subscribe to my Youtube Channel so you don’t miss any posts!!! ***This is a paid sponsorship. All of the opinions expressed in this post are my own, I never work with brands I don’t personally use and love!